Around the 25th August 2014 you collected all our furniture, clothes and household goods in general from our house in the Dordogne in France and transported everything here to the UK. We weren't looking forward to the upheaval, but the two young men in charge were excellent. They made the whole experience of moving house and country completely painless for us. They were totally professional - it was very reassuring. All our possessions were packed and loaded without any problems at all - in record time. The space available in the driveway needed to be negotiated with much care - this too was achieved without problems. We would like to put on record our sincere thanks to all concerned. It was a pleasure doing business with all the staff at Hunts. Just a short note to record our appreciation and thanks to you and your team for the way you assisted in our recent move to France. Both the team who packed us up in Ripon and unpacked us at the Moulin could not have been better. Best regards & thank again. I just wanted to place on record our extreme gratitude for the way in which your Company, namely Luke and Darral, handled our move to France, under very testing circumstances. Thank you again - I would not hesitate in recommending you! We have finally got our internet and landline after 5 weeks. We just wanted to thank you for such a brilliant move from Portchester to France. The guys on both ends of the move were very helpful, pleasant and very professional. We will certainly be recommending Hunts to people in the future. A quick note to thank you for the efficient and effortless transportation of our furniture, it was totally stress free from the beginning to end, the 2 lads unloaded quickly and efficiently. We cannot thank you enough and will unhesitatingly recommend your company's services and wish you well in all future transportations!! Again many thanks. We would like to express our sincere appreciation of the service that you have given us from start to finish. Your staff could not have been more helpful and the 2 guys that delivered to us in France were, to say the least, excellent. Thank you so much for making what could have been a most stressful event so easy and stress free. Please extend my thanks to all concerned. Just a line to say a big thank you for the way your staff carried out our move in France from Couesnongle, St Jacut les Pins in Brittany to Lestrevet Plage, Plomodiern in Finistere. They were punctual arriving at Couesnongle and nothing was too much trouble for them sorting items that were to be moved and taking every care in protecting items from damage before, during and after the journey. We were asked to advise a couple how your company performed during our move as they are selling their camp site here at Chateaulin and retiring. They are then considering a move from Finistere to Southern Ireland to be near their daughter. As our report was very favourable no doubt they will be in contact for their move be it to Ireland or another location within France. Once again thank you all for your help especially Mark and Ian who represented your company in France. Thanking you in anticipation. I wanted to let you know that we were all very impressed with the service Hunts provided on our move to Maurens, France at the beginning of this month. The professionalism of the staff involved was very high, and their dexterity in manoeuvring furniture around tight corners was amazing! There wasn't anything that was too much trouble for them. Please pass on our thanks to them all. I shall certainly recommend your company. I just wanted to write and thank you for an excellent service both in the UK and in France. We had two different crews who packed us and moved us out in West Sussex on 31st May and 1st June and then on arrival here on Wednesday 7th June. They were all helpful, efficient, polite and knew their job. They all worked incredibly hard and deserve a lot of praise. We did tell them at the time but I hope you will do so again. Two lots of friends had used you before and were so pleased – and we are too. Thank you – it makes an horrendous move so very much easier. Please feel free to show this letter to potential customers if you wish. Recently Hunts International moved some of our property from the UK to France. My wife did all the pre-move arrangements and I know she was very pleased with the helpful attitude of the office staff organising the move. It was efficient but relaxed thus making what could be a stressful situation much less difficult. On the day itself Keith and Arthur arrived "on the dot". They were both very polite, friendly and worked quietly and efficiently despite our attempts to feed them as much coffee and biscuits as we could. In France, Mark and Reise also arrived spot on time and unloaded amazingly quickly. Again they were so pleasant it made what is always a fraught time quite enjoyable. Please pass on our appreciation to all those involved in our move. We were so impressed we are now using Hunts to move our remaining property to our new house here in the UK. May we take this opportunity to thank your company most sincerely for the excellent service we received during the whole of our move from Clacton to France. On both occasions the driver and his mate worked extremely hard and were most efficient. Nothing was too much trouble for them, and this was most appreciated. All our furniture and other household goods arrived in excellent condition. May we also thank all the staff in your offices for being so helpful over the many changes of date we had to make. We would have no hesitation in recommending your company, and would like to thank everyone concerned again. 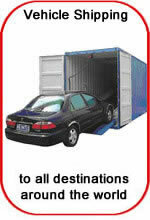 Just a short line to thank you and your team for the very successful transfer of our belongings from Kent to France. Moving is always a traumatic time and though we have been through the process several times moving belongings abroad seemed frought with problems. However, your calmn professional approach ensured a smooth procedure from collection for storage to delivery. We were particularly impressed with the positive and cheerful outlook of the driver and his assistant. I located your Company via internet search and appointed you to undertake my household removal from the Hautes Pyrenees in the far south of France to my new home. My correspondence and phone discussions were held with Karen Taylor, Brian Taylor and Adam Oakley, all of whom were most pleasant, helpful and efficient. Collection from France was undertaken by Greg Abba and Ian Watkins. Without wishing to embarrass them with their colleagues, I must report I found them extraordinarily kind and considerate, with nothing appearing too much trouble, in addition to working very fast and professionally, but at all times with great care. All of the above are a credit to your organisation and although I hope never to move again, I will certainly recommend your Company's services when the situation arises. We recently moved to France with the help of your company. We eould like to express our thanks for the very efficient service you provided throughout – your staff were very friendly, careful and professional when packing up the contents of our London house and again when safely delivering our belongings for early release in January and remainder to our new home this April. Your drivers called ahead beforehand and arrived promptly at the pre-arranged times which was greatly appreciated. Thank you again for providing such a good service, we will have no hesitation in recommending your company to others in future. The removal from our home in London was carried out perfectly, and the delivery today to our home in France (in the Alps, which was a very difficult move for your drivers) was carried out exceptionally. It has been an absolute pleasure to deal with such a professional and helpful team. Thank you so much and please pass on our gratitude to the removalists (and especially the drivers on the winding route to the Alps). A "thank you" for not only looking after our belongings for 6 months, but also for the way Ian and James not only delivered on time with a smile on their faces in a professional and friendly manner but everything was also in perfect condition. During the 6 months contact with Hunts we have found everyone very pleasant and helpful. Please pass on our grateful thanks. We are now happily installed in our new home - a pleasant village with friendly locals. We will certainly recommend Hunts as a removal company. We were recently moved by yourselves from our previous home in Bedfordshire to our new house in France. I wanted to write to you personally to thank you and your team for the superb effort that made for a very smooth move. Both the packing and delivery teams operated efficiently, professionally and with great humour. I have to make a particular mention for the delivery team, who worked tirelessly on a warm day in Limousin. Their application to the job and desire to satisfy the customer was admirable. Thanks once again and we will recommend you to anyone else who has to undertake a similar move. Apologies for having taken so long to send this letter, but it’s been a bit hectic since we arrived a couple of weeks ago. My wife Ann and I just wanted to say how grateful we were for all the help and assistance you gave us in the removals from Chalam in Cleeve Prior and the offloading at Monoun du Nord in France. The weather was absolutely foul on the day Keith and Arthur had to offload, but they made light of the conditions and were very efficient and friendly all the way through. I can assure you it made all the difference on a day like that. After they had left, this area had the worst floods they had seen in a few years (with the main river Baise bursting its banks the next day) and some people had to make detours to get home. Still, as I write this the sun has come out, it’s warm and the whole area has taken on a different feel, so fingers crossed that Spring has finally decided to appear. Also, we would like to thank the lads who carried out the removals at Chalam – Scott, Dave and Sam. They were great and Sam’s sense of humour made light of the heavy work. So, many thanks once again and if we ever need to come back to the UK, we shall know who to call. Now things have settled down a bit, just like to say BIG thank you for a great move you did for me in January 08 from the south of France to Brittany. Your staff were hard working and nothing was a problem. If when I move again I will be in touch.